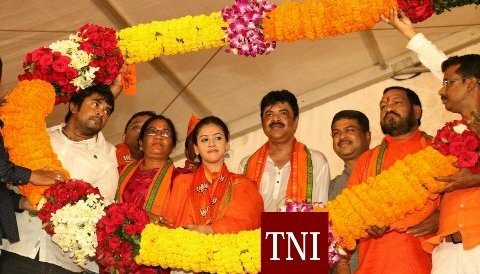 — Late Congress leader Lulu Mohapatra’s family including daughter Upasana joins BJP in presence of Union Minister Dharmendra Pradhan. — Blue Whale Game: Youth attempts suicide in Anandpur of Keonjhar dist, admitted to hospital. — Former Vice-President Hamid Ansari attends Right to Information convention in Bhubaneswar. — Rahul Gandhi to take over as Congress president, confirms party chief Sonia Gandhi. — UP: Mughalsarai railway station renamed after Pandit Deendayal Upadhyaya. — Bihar: PM Modi attends the Centenary Celebrations of Patna University; announces fund of Rs 10,000 to 10 private, public universities over 5 years. — Gauri Lankesh murder case: SIT releases three sketches. — PM Modi lays foundation Stone of projects under Namami Gange programme. — 5 accused of carrying beef thrashed near Delhi, case registered against them. — North Korea readies missile launch ahead of US-South Korea drill.